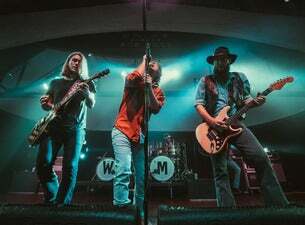 Gritty Texas band Whiskey Myers is made up of Cody Cannon, Cody Tate, John Jeffers, Jeff Hogg, Jamey Gleaves and Tony Kent. Their third album Early Morning Shakes was their breakout release, earning rave reviews everywhere. Now their latest album Mud is scaling new heights of songwriting, musicianship and acclaim.